Nerd, Geek, Otaku or PaeIn ? 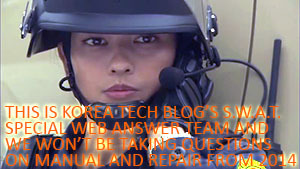 FAQ – What you ALWAYS wanted to know about Consumer Technology AND popular usage in South Korea but ..
plus more maps and photos will be inserted in existent pages as well as blog posts, but clearer graphic guides will need more time . just a reminder that I do have a few other BLogs on the .Net dealing subsjects concerning my works and pleasures (note BOTH are plural). and you will find info that are NOT directly linked with electronics or technology there .